This story today from Sara Carter is really interesting because CTH outlined the foundation of this back in January of 2017. According to an article published today by Sara Carter her congressional sources have told her of an investigation into former ODNI James Clapper and his leaking of “intelligence information” to CNN in an orchestrated effort to damage the incoming Trump administration. In essence the week beginning January 10th, 2017 was the origin of the vast ‘Muh Russia’ conspiracy/collusion narrative against the incoming administration. The CNN report pushed by Jake Tapper was also the distribution of leaked information James Clapper and John Brennan. This false narrative was specifically the origin of the “collusion” angle. James Clapper appeared nervous and playing CYA when he released a statement trying to cover-up his leaking of information to CNN. Remember this? January 15th, 2017 “[…]Four political operatives at CNN (Jake Tapper, Jim Scuitto, Evan Perez and Carl Bernstein), colluded with two highly politicized top level Obama administration intelligence officials, ODNI John Brennan and CIA Director John Brennan, under the auspices of leaks from “anonymous senior intelligence officials” – on the construct of Russian narrative to undermine the incoming presidency of Donald Trump. After being called onto the carpet, and doused in sunlight for their endeavors, CNN has been rabid in their attempts to obfuscate the construct of the intentional hit job and defend the indefensible. CNN has spent the better part of every single broadcast for the past six days trying to justify their role in carrying out the synergistic political objectives of the politicized intelligence community and media propaganda. They have failed. […] according to government sources Clapper, who is not mentioned in the report released Monday, had spoken to CNN at roughly the same time Jake Tapper broke the first story regarding the briefings conducted by senior intelligence officials with Trump and Obama on the dossier. Tapper’s story, which published in January 2017, created a snowball effect of allegations in the media that Trump’s campaign had allegedly colluded with the Russians in the 2016 election and that Russia had compromising material on Trump, sources with knowledge of the investigation concluded. Clapper was one of four senior Obama administration officials to brief Obama and Trump on the dossier in December 2016. FBI Director James Comey, former CIA Director John Brennan and National Security Administration Director Mike Rogers were also present at the December briefings. Clapper nor Tapper could be immediately reached for comment. The dossier, which was compiled by former British spy Christopher Steele, at the behest of embattled research firm Fusion GPS, was already being shopped around by Steele to journalists in Washington as early as the summer of 2016, according to reports. At the time, journalists who had heard of the dossier were reluctant to publish the findings because of its unverified content. This entry was posted in AG Jeff Sessions, Big Government, Big Stupid Government, CIA, Conspiracy ?, Decepticons, Deep State, Dem Hypocrisy, Dept Of Justice, DHS, Donald Trump, Donald Trump Transition, Election 2016, FBI, Jeff Sessions, media bias, Mike pence, Notorious Liars, NSA, President Trump, THE BIG UGLY, Uncategorized. Bookmark the permalink. Amazing how folks at the top of the “Intelligence food-chain” have no issues in disclosing intelligence classified information as long as it serves a political purpose. These people should hang. These top food chain folks can lie in hearing, under oath, to FBI/DOJ, leakers, colluding with other countries and nothing happened. Whole fake msm and DC knows still they walk free. Hillary bashing PTrump in India and blaming everyone. I want to see her in prison just for 24 hrs. as much as I would love to trust Sessions….we have open defiance here, from mayors to governors ignoring Federal law, we have elections we are losing because people so hate President Trump based on lies and false accusations from the media, we have 7 million dollars spent on a lie, where Mueller is still going strong. Our Country more divided than ever. People NOT respecting this President and you know why because seditious acts have been allowed to stand, because treason has been allowed to stand, because the guilty walk around free lying slandering, dividing, excusing NOT charged…and this sickens us, this is dividing us/this nation. where MAGA is not allowed to proceed because of obstruction. Nominees not going through because of obstruction. You have the democrats as deficient and as evil-getting away with crimes and lies and slander, you have protests out of hand that are absolutely vile. AND you want us to trust Sessions, gee wiz I would just love to, but this Country is in serious problems and what CA * Chicago/IL, and NYC are doing, they should have been arrested, if we did such things we would have been-heck we would have been assassinated, and what are the Democrats doing to our President-the lack of respect their words are heinous yet they accuse him of being brash,…… Sorry I am one of his supporters that lost my daughter (she hates me because I voted for Trump and has cut ALL ties with me) because of my support for President Trump, I am one that went to rallies and received a brutal push back, I have been waiting for 2 years for this to lessen up-and yet even with this clearance of “Russian Collusion” what do we have but CNN stating” it is not worth the toilet paper it is printed on” So when are we going to (excuse language here) shyte or get off the pot, let us just go to full blown civil war at this point, I am sick of waiting, my heart hurts for this nation, that we are so darn corrupt now! Yes I would just love to trust Sessions….but…. Sorry to read of your family discord. Your personal experience is definitely an issue of concern as we “wait patiently”. I don’t feel you are a fair weather fan at all. You are justifiable in your personal angst. My brother lives in LA and before this election, he was never very politically vocal/active. This time….wowsie. He does live in the belly of the beast however. As a family, we tend not to discuss political things. I guess a bit easier since the rest of us are here in Georgia. Mostly the emails that go back and forth are about cars and other interests like that. Cars are valid (not talking about weather) since dad and other brother are car folks. I noted on the other Clapper post from yesterday that I think March and April are the months for action…..if there will be action as May/June have 29 primaries. Action needs to take place then for effect on primaries. Once primary season starts, MSM will make sure Oxygen is sucked out of the room. I completely sympathize with your family situation. I will never understand how my own adult children have grown up to be left leaning, liberal Dems who hate Trump. The only answer is obviously that they went to state run public school indoctrination centers. It’s not that they learned how to think, they learned what to think about politics. They don’t hate me but sometimes I become enraged at their stupidity. They are good people in every respect, but are politically illiterate. As far as Jeff Sessions- it always seems too little too late. Trump must have a reason for keeping him on. I guess we should have faith. What I am most worried about is that Pres. Trump has made some mighty powerful enemies who are not afraid to go as far as getting rid of their opponents with “extreme prejudice” if you get my drift. I pray for POTUS every day, that God will give him strength and keep him safe. He is a mighty warrior and I can’t imagine where we’d be without him. Just looking at those videos of Hillary Rotten and Choom Boy make me sick to my stomach. I live in the belly of the beast, and was pressed to retire early because of my (suspected) conservative views. My family is NeverTrump but although we’ve had some screamfests, no one has cut me off. Just AWFUL that Leftists/NeverTrumps are so vicious and narrow-minded. I realize that it’s hard to wait for justice to prevail but investigations have to be perfect. It’s not like the Trump admin will get the benefit of the doubt, especially after years of pretending the Good Guys are the guilty ones. I thought just like you until Sundance revealed that Sessions was running a prosecutorial investigation parallel to the IGs investigation but had to keep it secret even from Trump. So, it appears that Sleepy Jeff is actually a fu*^$#g piranha and one of the few guys in Washington who can keep his mouth shut. Those at the “top are of the food chain” have much to lose…. Brennan and Clapper had their secret surveillance system– THE HAMMER (Wikileaks Vault 7 THE HAMMER (Hamr))…. See Whistleblower Tapes: Trumped wiretapped “a zillion times) by.Brennan’s and Clapper’s surveillance system THE HAMMER…..
Montgomery was granted limited immunity by onetime head judge of the FISA court Judge Royce Lamberth in exchange for those documents. Montgomery also told that Mueller’s FBI supplied the computers for the illegal surveillance system. Yeah. Watergate was a mere bumping into a stranger in a busy crowd, The Obama Conspiracy was attempted murder. And thrice afterwards. These enemies of the American Experiment can count on a corrupt political/media machine to spin for them, but it ain’t working no more. Every investigation launched by tbe Left is ensnaring only, the Left. I believe that Mueller’s dirty game as a Special Criminal is itself a great crime, an obstruction of the search for truth and justice for the many crimes that he and his cronies perpetrated, and still are. I never saw a FISA warrant come across my desk, and I would have if there had been one. Oh. There’s now proof of a warrant? That dossier was only used for a renewal of the FISA warrant that I never saw! Oh. There’s proof it was used in the first application? COMEY AND ROGERS DID IT. I WAS OUT SICK THAT WEEK! And besides, I’ve always said I never saw any evidence of collusion. What do you mean, we’re supposed to have verified probable cause to obtain a warrant? Nobody ever wittingly lied to the FISC judge. No. I have never lied, all I I’ve ever done is say the least untruthful thing I could think of. And still drew a check when he was out sick suffering from Mental Illness!
. @TheLastRefuge2 This: When he is referencing (note 'private security') "document which was widely circulated in recent months…" & then goes onto say, "even before the IC became aware of it." Liars always stumble when they can't remember their previous lies. … Comey took possession of the evidence. Past FISA Court head Judge Lamberth awarded CIA Whistleblower Dennis Montgomery limited immunity in exchange for the documents that came from Brennan’s and Clapper’s illegal surveillance system, known as “The Hammer” All Docs were given to Coneys FBI and his counsel James Baker. The Docs were initially dropped by a Federal Judge (one assumes accidentally) in a court case. Within hours of publishing “Whistleblower Tapes…” Wikileaks dropped CIA Vault 7 proving the existence of the illegal surveillance system known as The Hammer. (Hamr)… that was exposed in those docs. Montgomery confirmed. Nunes apprised. …The scheme puts the weaponized IRS in context. Anybody ever see ‘Captain America: The Winter Soldier’? Pretty cool movie. S.H.I.E.L.D. has been compromised. Project Paperc!ip. Lots to untangle. Trust Sessions. 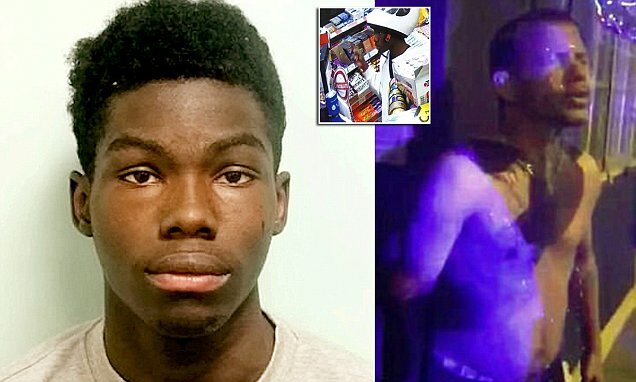 Remember the teenager in London who attacked multiple people with acid, leaving some with “life changing injuries”? He was just sentenced to 10 years in jail, but can get out in just 5. I can see Trump doing that to the msm. Certainly better than Oboobie leaving the press to question Bill Clinton back in the day. Dang. Wrong tweet, but, still gut-wrenchingly disturbing. Justice diluted is justice denied. Here’s the acid attacker you referred to, Charlotte. Invite the third world, you become the third world. Mirroring what has occurred to NBC and CNN talking heads, spies pour into Democrats ahead of mid term elections and now comprise 25% of candidates. The merger between the CIA, the Democrats, Iraq war neocons, NBC, CNN, and the Washington (Amazon) Post is a baleful predictor for US democracy. Minority status helps as well. Nine months courting tbe UN will do that to a Military strategy. The bad guys ship out everything while we telegraph our suspicions and intentions. I recall reading about a heavily-trafficked road from Iraq to Syria at the time, no? And how many can access/have accessed all the Meta Data past and present? 25% How can we combat this? This is legitimately alarming. IMHO, one is the monster vote. We need it now more than ever. People need to get out and vote Republican. Yeah, the Left traditionally has HATED military and CIA, considering them baby killers and drone killers of innocents and topplers of this-time-it’ll-work Socialist gummints in Central America … all the while lionizing to sainthood such anti-CIA traitors and leakers like Snowden and Bradley Manning. 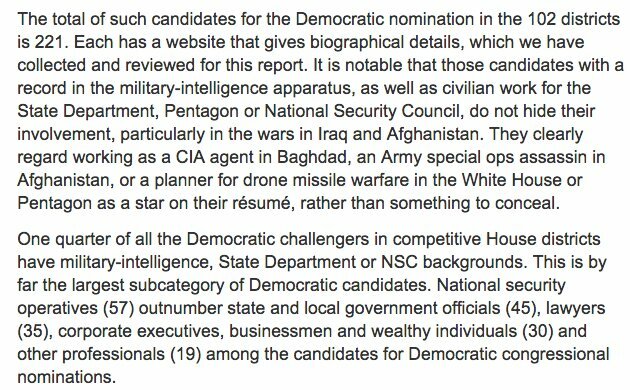 Just portray these new CIA Dems as baby killers and storm troopers of the military-industrial complex. Use the Left’s own portrayals. All, read part three. It contains the list. I’m assuming no one is listing the names due to a concern of some sort so I will do the same. Is this why they let the statue of limitations expire in his lies to Congress about NSA spying? Is this easier to price and prosecute? Go back and read the Conclusion to the “cover letter” provided in the other article here. The top end of this Trump administration better stay scrupulously legal, even if that isn’t the most efficient way to do business, no shortcuts, because if any of the Democrat cronies in the bureaucracy or Hillary campaign go to jail they will be the #1 targets of the next Democrat Administration, even if that’s 7 years away. Maybe that’s why we have zero prosecutions so far. Dream on. They own the bureaucracy, the media, academia, the grade school teachers (most horrific of all, that), students, local government, a lot of the supposedly independent judiciary, crony Wall St, the CoC and at least half the electorate. You better do some more maths on that. Well, then. it’s high time we take them ALL back. You won’t take anything back without destroying the University system that pours out US hating graduates. They become your rulers in the bureaucracy and politics and crony Statists in business. Love you, Piper – my sentiments exactly! Same goes for the rest of that heinous group. Why no justice on the leaking? I thought Rosenstein and Sessions were going to step up the investigations, and hence, prosecutions on leaking or is was it another a PR interview? These Democrat officials are being allowed to run rampant for too long. Yeh… I’m getting tired of the old ‘5 d chess’ excuse. Now its just blatant that they are sitting on hands. Time will pass… and they are hoping it will blow over. The lack of prosecution when evidence is laying on the floor like a landed whale – indicates a sad future I feel. You described the reckless apathy perfectly. All throughout this piece and the supporting docs and video, it’s clear that the dossier was initially being played as sort of a running joke. The media, which now can’t find a single thing related to Trump not worth some sort of clickbait -going so far as to publish every single thing fed to them by Adam Schiff, without the least bit of scrutiny- Would Not Touch It. It was literally sarin at that time. Clapper says it was not an Intelligence product. It was used 3 months prior and quarterly 3 more times To Get A Freakin Warrant To Spy On Trump! There is only one way these black hats could expect to get away with this: an unfailingly complicit media. This continues to be “shake-my-head” stunning. The reason they get away with it is because we don’t do anything about it. When they concoct a rumor about Trump, they immediately begin an investigation. When it is disclosed to be a hoax, they keep on going. Our Asst. AG helps them, signs off on a false warrant application. Nothing happens to him. He eggs on Mueller like nothing happened. Sessions gives him the green light and an attaboy. He continues to focus on MS-13 and sanctuary cities. The real colluders run free. Meanwhiile, Mueller is investigating the President’s daughter, son-in-law, Erik Prince, Manafort, the President — all on issues having nothing to do with his mandate. There’s a reason why they call us the stupid party. Not only does he say it wasn’t an intelligence product (note his making sure he states, “private security company” – but he then goes onto say, “before the IC was even aware of it.” Right there he is lying about knowing of the document, let alone using it in the FISA Court. In his January 11, 2017 letter above Clapper writes that the IC hasn’t made any judgment that the information in the dossier is reliable. Then on October 25, 2017 on CNN Clapper states that “But at the same time, some of the substantive content, not all of it, but some of the substantive content of the dossier, we were able to corroborate in our Intelligence Community assessment which from other sources in which we had very high confidence to it.” So what happened between January and October of 2017 that lead the IC to assess that some of the “substantive content” of the dossier was corroborated with “high confidence” sources? He resigned as head of the DNI when obama’s term ended. Someone in the IC must have told him that. Who was it and when was he told? Anyone know? Nothing happened but Clapper’s need to tell situational lies as the narrative moved along. My question is how do they get away with it”? Even the good guys like Nunes and Jordan are establishment, like SCOTUS is establishment and all ex military generals and all intel agency elites are establishment . By that, I mean those people value the stability and credibility of govt Institutions as a continuing necessity over most other things, even if an Institution is “temporarily” corrupt. 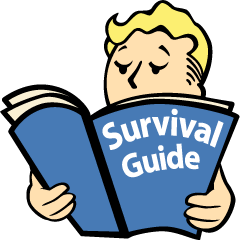 For example, to trash and reconstruct the FBI, for that is what the evidence reveals should happen, is to be absolutely avoided for them. They calculate the credibility disaster and the disorder that would create is far more important than justice for the elites. I happen to disagree. I told you you wouldn’t like it. Yup. I’m afrad you’re right. The State protects itself in the end. They still “don’t know” who gained access to Kenneth Trentadue’s cell in the maximum security federal transfer facility in Oklahoma so that the perpetrators could torture Trentadue to death, crushing his skull and cutting his throat, while claiming Trentadue hanged himself in his cell. Maximum security and cameras all over the place and they have no clue who entered an inmate’s cell and murdered him at their leisure. It was reported by Timothy McVeigh that Kenneth Trentadue was murdered because he resembled Richard Lee Guthrie, a member of the fake Aryan Republican Army, an “army” of federal and SPLC informants. Guthrie, when he finally was apprehended, wound up hanging himself in his cell. Strange. Still no real investigation, since not finding the perpetrators seems impossible given the location of the torture/murder. Within this highly politicised leaker duo – Crapper is just the not particularly bright front guy, Brennan is the classified info leaker and abhorrent political animal. Also the most ineffective Director CIA since September 18, 1947. Look, “leaking” prosecutions are the J walking end of this, any of the big boys that have their 20 years in jail charges hanging will be offered the odd leaking charge instead…. to be treated by the Court as a misdemeanor. It’s DC, no-one takes leaking seriously except the boy scouts from out of town. No, they didn’t “make a mistake.” The used 100-percent textbook CIA psyops to smear Trump, knowing *full well* that once the damage was done only a miraculous and more-than-Herculean effort could ever undo, if that was even possible. And here we are over a year later. The damage was incalculable. His statement that it was a “garbage document” was nothing but a penetrating glimpse into the obvious—and it didn’t matter at all because THE INTENDED DAMAGE WAS DONE. With all sincere due respect to Sundance and to Donald Trump, anybody who gets lulled by Woodward is eye-to-eye with a slowly waving coiled viper. I continually see people who are worried that time is running out and these criminals will get off scott-free. So first the clock on the STATUTE of LIMITATIONS STOPS with an indictment. Second, since October of last year a YUGE number of SEALED indictments have been laid before the courts. ⚖️ In the next month, December the number MORE THAN DOUBLED to over 9000, an increase of over 4,700. ⚖️ By January 28, 2018 there were 13,605 sealed indictments. Again an increase of over 4,600 in a month. ⚖️ And another treeper reported over 18,500 sealed cases were filed as of March 1. My interpretation is that AG Sessions went after the small fry in November and December. ON December 21, President Trump issued the ‘Executive Order Blocking the Property of Persons Involved in Serious Human Rights Abuse or Corruption.’ In January Sessions went after the middlemen and NOW he is finally ready to go after the big guys. So I think they have most of the evidence and are now ready to go for the last bits using a Grand Jury. Hear are leaks by Brennan that show that the Brits were spying on President Trump for Obama’s Admin as early as 2015. “[…] The task force included the FBI, the Treasury and Justice Departments, the CIA, the Office of the Director of National Intelligence, and the National Security Agency (NSA). It was set up after the director of the CIA, John Brennan, received a recording of a conversation about money from the Kremlin going into Trump’s campaign coffers, the BBC’s Paul Wood reported. The recording was apparently passed to the CIA by the intelligence agency of one of the Baltic States. I’m confused. I thought Obama and Trump were both briefed on the dossier in early January 2017, shortly before it was published by Buzzfeed, and that it was Comey alone who briefed Trump on the dossier after a larger intel briefing. Did Comey also tell Trump that Hillary and the DNC commissioned and paid for the dossier? It would be interesting to know when Trump first learned of Hillary’s involvement with the dossier. This is absolutely no surprise. Clapper and Brennan leaking directly to CNN was an outright condition of employment of these two by CNN, after the resigned from the government. It would not be surprising there were signing bonuses attached to the stories generated by these leaks. Also, these two legally walked away from the government with tons of Obama declassified materials for future use, which I believe is the “sources” in most CNN stories since. Onliest one dirtier’n Clapper and Comey is Brennan.